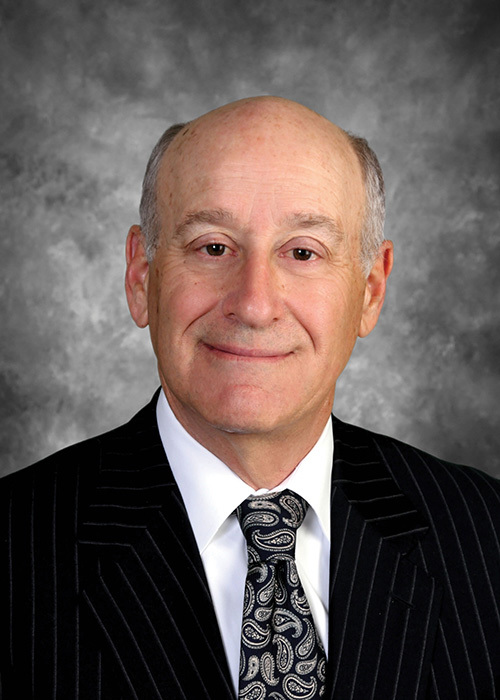 Jim Goldsmith is a native of Harrisburg, Pennsylvania where he has practiced law continuously since 1978. He has been a litigator from the start, now primarily representing professionals charged with negligence or seeking to defend their licenses before the Bureau of Professional and Occupational Affairs. His clientele include real estate practitioners, appraisers, accountants, veterinarians, physicians and other professionals. He has tried over 60 jury trials to conclusion in addition to numerous arbitrations, mediations and non-jury proceedings. He continues to represent plaintiffs in personal injury, medical malpractice, real estate and commercial litigation. Jim’s practice also includes providing legal expertise to professional trade associations. He represents the Pennsylvania State Association of Boroughs, the Pennsylvania Association of REALTORS®, the Greater Philadelphia Association of REALTORS®, the Greater Harrisburg Board of REALTORS® and the Greater Scranton Board of REALTORS®. He has written and lectured extensively on real estate issues and has been involved in drafting the standards forms used throughout the Commonwealth. He has participated in the drafting of much legislation dealing with the regulation of real estate licensees and the industry. For ten years he taught real estate transaction at the Widener University School of Law, Harrisburg Campus. He has delivered many continuing education courses to both lawyers and real estate licensees. Jim was appointed by the General Assembly of the Commonwealth to serve on a Joint State Government Commission Advisory Committee on Real Property Law. Jim served on the Board of Governors for the Pennsylvania Bar Association and presently serves in its House of Delegates. He is a graduate of the Washington & Jefferson College, attended the Dickinson School of Law and Temple University School of Law, where he earned his Juris Doctorate in 1978. Jim is married to Harrisburg native, Cynthia Roe Goldsmith. They have 2 sons. Jim is a serial hobbyist presently mired in fly-fishing and woodworking with hand tools. PART TWO Who, if anyone, should attend home inspections has been a topic of debate for as long as home inspections have been a standard element in a residential transaction. PART ONE It happens. Sellers agree to make repairs suggested by a home inspection, but fail to complete the job timely. What should a licensed professional do if they are notified that they are the subject of a board complaint? Fraticelli, Thomas M. Heim, Gary J.